Srinagar : Jammu and Kashmir Chief Minister Mehbooba Mufti has invited Hurriyat leaders for an all-party meet for a two-day visit. The letter has been sent from her part not as a Chief Minister but as PDP leader. 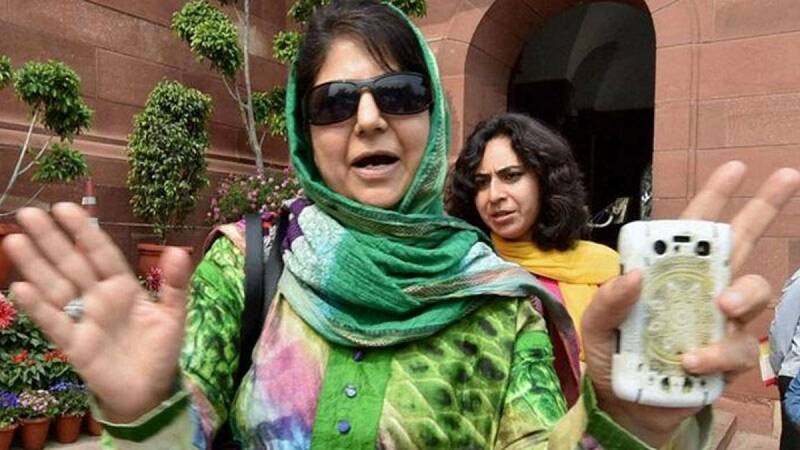 # Mehbooba Mufti has written a letter to Hurriyat leaders saying "take the lead and engage with the All-Party delegation of parliamentarians". # "Notwithstanding the fact that you and I have different and divergent political ideologies, I have no doubt that all of us have the best interest of the people of Jammu and Kashmir in mind," Ms Mufti said. # "The PDP has always believed that the Hurriyat Conference is a stakeholder in the peace, resolution and prosperity of the state". # The Chief Minister on Saturday claimed the country's political leadership must, without any further delay, reach out to and engage all sections of the society, including leaders of the Hurriyat Conference, in a productive dialogue process to resolve the unrest in Kashmir. # Kashmir has been facing from approximately 60 days after security forces had gunned down Hizbul Mujahideen leader Burhan Wani.